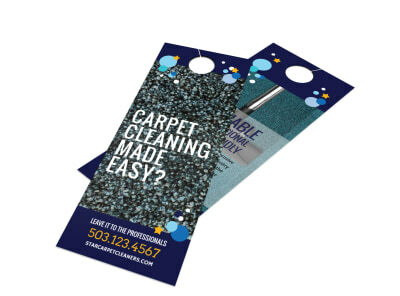 Customize our Cleaning Carpet Door Hanger Template and more! 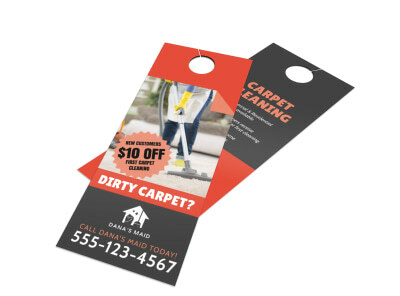 Remind homeowners that their carpets need a good cleaning with this door hanger design. Canvas the neighborhoods you want to target, leaving this hanger behind in your wake to see an uptick in new clientele. 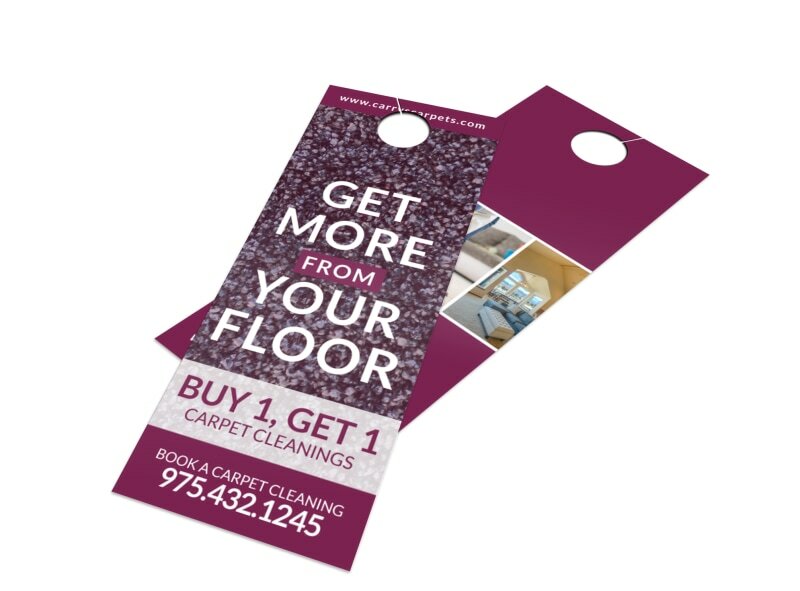 Customize the hanger with your choice of text, colors, images and more. Begin the fast and easy design process now.